We breathe everyday, every single moment of our lives that it’s easy to take it all for granted. But there is actually a difference between normal breathing and deep breathing—the latter can be healthier when done regularly. As you know, our whole body or every single one of our organs needs oxygen, and some, like the brain, could not afford to be deficient in oxygen for even a few seconds. But while the sudden loss of oxygen supply can have drastic health results (and that’s just putting it mildly), long-term reduction in oxygen supply due to “normal” improper breathing can also be equally dangerous. That’s why the benefits of deep breathing are obvious—better general health and a more cheerful disposition. And if you must know, the following five health benefits are just some of the most common of such benefits. 1. Better oxygen supply: every single cell in our body needs oxygen as fuel. Oxygen is needed in vital cellular processes on which life depends, and all you have to do is contribute your little part in the process: by breathing deeply, which also significantly improves the quality of the blood. 2. Calms down the nerves: breathing deeply and slowly (but not too slow as to actually reduce the volume of your air intake) gives your nerves time to relax. And thanks to the increased amount of oxygen, the major parts of your nervous system (the spinal cord, nerves and the brain) are better nourished. Moreover, deep breathing has been shown to cause the brain to increase its release of so-called pleasure neuro-chemicals, thereby giving you a better mood or disposition. 3. Relaxes the muscles: when the nerves are calmed down, the muscles naturally follow. Deep breathing, especially during or after a stressful day at work, can reduce the occurrence of muscle stiffness and can enhance your overall sense of well-being. 4. Lowers blood pressure: because breathing deeply relaxes the muscles, and the body’s arteries or veins (those little tubes through which our blood is transported throughout the body) are essentially muscles, then a lowered blood pressure is also one of the benefits of deep breathing. 5. Strengthens the lungs and heart: one of the major benefits of deep breathing is how it reduces the workload on the heart. 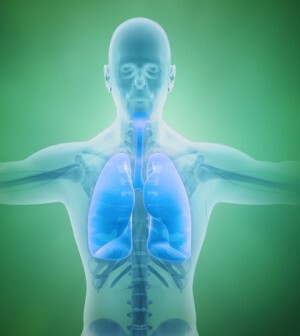 By regular practice, you consequently strengthen and make your lungs more efficient than ever. And because there is more oxygen in the blood, the heart is not so overly taxed, thereby cutting it some slack. The bottom line: the more oxygen the heart receives, the better the lungs and heart in doing their jobs, the better overall health you enjoy. 6. Improves the management of certain psychological issues: two medical researchers, Richard Brown and Patricia Gerbarg, analyzed in 2005 several studies concerning the benefits of deep breathing, and they concluded that breathing deeply and often can have a positive effect on depression and other anxiety-related disorders. A simple way to test this is by breathing deeply now: feel how your negative emotions subside, all your pent-up tension “flow” out of your nostrils. In fact, one of the quick ways to manage an anxiety or panic attack is by letting the person start breathing deeply in counts of 10. 7. Enhances the power of meditation: of course, one of the foremost benefits of deep breathing is how it is integrated in meditation—without it, the goals of a meditation session would simply not be met. With the increased assimilation of oxygen, your brain automatically produces neuro-chemicals that calm you down—this, along with the aforementioned calming effects of deep breathing, all work together in greatly improving the power and focus of meditation.